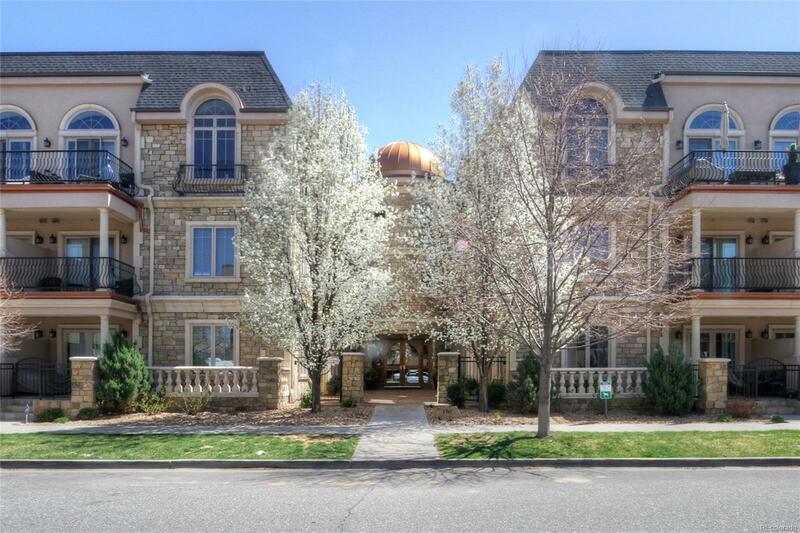 Elegant Cherry Creek condo with outdoor space! Perfect "Lock and Leave" with low HOA! Two Bedroom/Two Bath with extensive hardwood, slab granite and designer finishes throughout! Very close to Pulaski Park and 42 mile long Cherry Creek Trail! Two secure underground parking spaces and one enclosed storage unit. Immaculately maintained and quick possession! Washer/Dryer included, furniture negotiable.